Unlike the Manthey Road Bridge, the adjacent Mossdale (State Route 120) Bridge (29 0016F) appears to be getting some much needed attention. 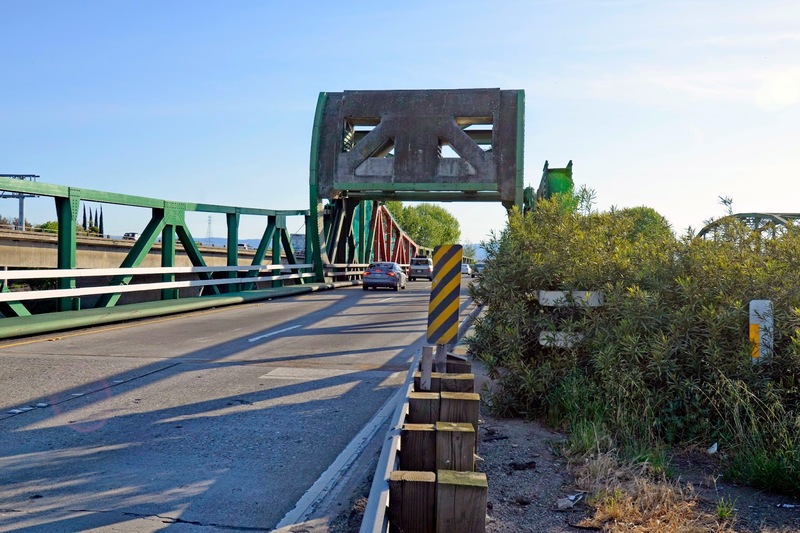 Although this bridge still has its counterweight, like all the other bridges across this part of the San Joaquin River, it can no longer move. Despite being rendered inoperable, the bascule span still maintains a very striking appearance. The counterweight and trunnion are above the roadway, which could have been unattractive, but the designer carefully shaped the counterweight to match the flared end of the bascule span. The designer used metal aggregate in the counterwieght to reduce it's size. The concrete piers also have an attractive appearance. Unfortunately, this bridge is in almost as poor a shape as it's neighbor (with a structural deficiency rating of 13). 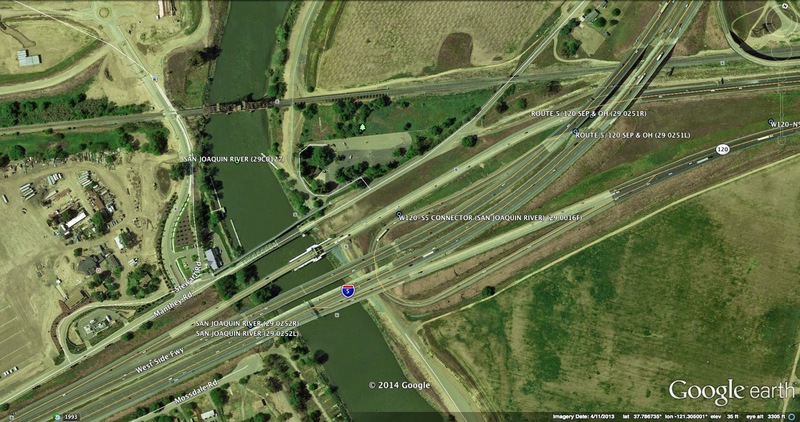 This is particularly problematic since unlike the Manthey Bridge, the Mossdale Bridge is part of a major interchange (I-5/120) and carries about 40,000 vehicles a day. However, it does look like it is being renovated. 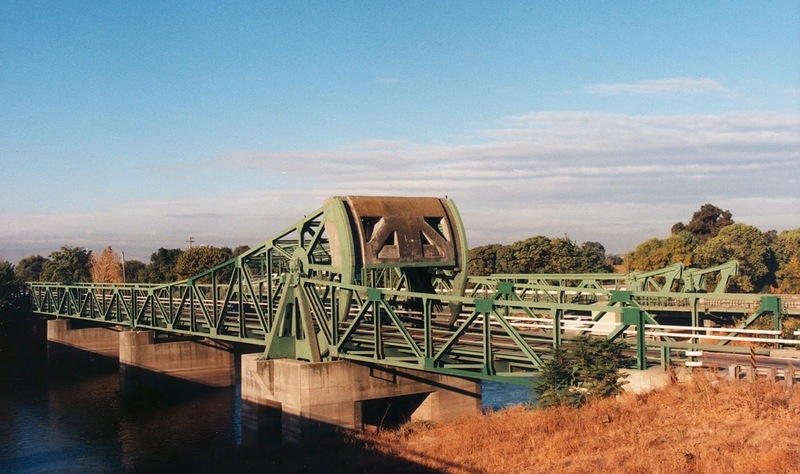 The W120-S5 Connector Bridge is a five span bridge with continuous pony truss approach spans and a short through truss at the counterweight. This bridge is 583 ft long with a 130 ft main span. San Joaquin County, California Bridges: W120-S5 Connector across the San Joaquin River by Mark Yashinsky is licensed under a Creative Commons Attribution-NonCommercial-NoDerivatives 4.0 International License.